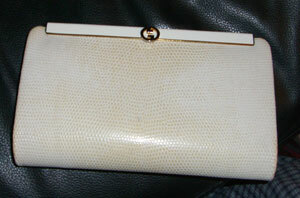 The other day (probably weeks ago), my FCIL let me borrow the vintage Gucci clutch that she found at a rummage sale. It's perfect for the wedding day and is so classy. I think it needs to be cleaned though, and I'm not sure how. Any suggestions?